We are the ONLY dealership in New York to offer Proof Pricing. Proof Pricing means you get our BEST price – Simple & Clear. We protect customers from overpaying. Every new Toyota comes with ToyotaCare – No Cost Maintenance Plan at No Additional Cost! Find a Vehicle You'll Luv! Anson Smith is well informed and a pleasure to work with in our car search and research. Environment is welcoming and would visit again sometime soon. I bought my first RAV from Luv and was very happy with the deal, the service and all the help I had through the years. Al, Connie and the rest of his staff are more than amazing and helpful. Unfortunately when I was looking for the next one they didn't have what I was looking for at the time and I strayed...BIG MISTAKE!!!! I now KNOW why they are called Luv..they truly love their customers. I have yet to hear from the dealership of my latest purchase..no follow up what so ever!! Luv..just Love!! 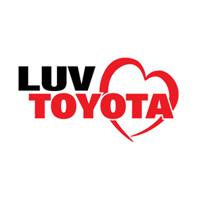 Luv Toyota is a premier dealership to find your next pre-owned or new Toyota. Our dedicated team of sales professionals and our knowledgeable service department will help you find what you need and get you on the road as soon as possible. If you’re unsure of where to purchase your next car, check out a few of these reasons that make us ahead of the rest. There are other dealers out there, but not all are up to the task of delivering exceptional customer service. In the past, we’ve received numerous awards like the Parts & Service Excellence Award. However, the one that we have the most pride in is our President’s Award. Each year, Toyota bestows this top award on only a few dealerships in the country based on excellent reviews in sales and service satisfaction, vehicles delivery excellence, and employee training and certification. Unlike many other dealers, we know that your car is your means to freedom. That’s why we keep our service department open six days a week. Without your car, it’s more difficult to take the kids to school, get to work, or even run basic errands. We’re committed to getting you back out on the road in as little time as possible. To do this, we only have Toyota-certified mechanics on the job. Whether you need major repair work or just an oil change, our technicians will have you back on the road in no time at all. We’re local and we are here for you. Our convenient Lakewood location is here to serve all of your Toyota vehicle needs whether it’s purchasing a new Toyota, Certified Used Toyota, or visiting our Toyota Service and Parts Center. Located in Lakewood, NY, Luv Toyota also serves the Warren PA and Van Buren Bay areas of NY with a stress-free sales experience and a finance department that can find financial solutions to save you money and fit within any budget or credit situation. We know that we couldn’t exist and become successful without your support. That’s why we give back to the local community in as many ways as possible. We proudly support organizations such as the Wounded Warrior Program, Toys for Tots, the Alzheimer’s Association, and Autism Speaks. To us, it’s more than just an attention gimmick; it’s our civic duty to contribute however we can. Only a few lucky people are able to pay for their new or pre-owned Toyota outright. However, we offer affordable financing options for just about anyone. Our team of finance pros will help find a perfect term and rate to satisfy your needs. At Luv Toyota, we’re more than just your average dealership. We’re a cohesive team that works together to get you the best car-buying experience possible. With us, you’re more than just a customer—you’re a business partner for life.